The European Express takes 9 hours and 50 minutes to get to Sofia, Bulgaria from Istanbul, Turkey. In the last couple of years, with the help of social media, railway travel has become one of the most popular ways to embark on an adventure in Turkey. The rising popularity of the Eastern Express and Van Lake Express encourages people who are looking for a delightful journey accompanied by the best landscape in Anatolia to take the train to their destination. 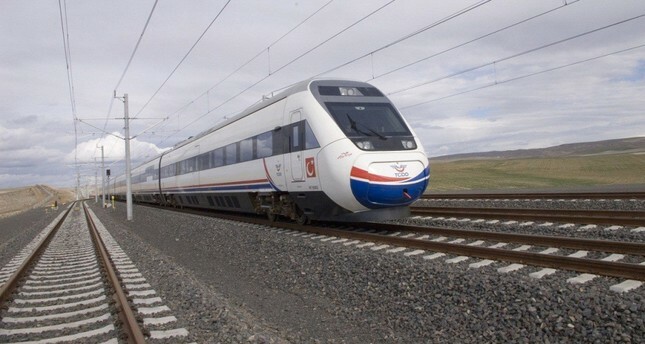 Railway transport has been on the rise in Turkey, especially with high-speed trains that connect Istanbul, Ankara, Eskişehir and Konya. According to data from Turkish State Railways (TCDD), the high-speed train carries 25,000 passengers, while the Eastern Express, Lake Van Express, İzmir Blue Train and Southern Kurtalan Express are used by 45,000 passengers daily. Inspired by this popularity, the TCDD has started to promote and offer exclusive prices on the Istanbul-Sofia train for those who want to take a journey to Europe by train. The Istanbul-Sofia train is a perfect way to discover Sofia, the capital city of Bulgaria. The passengers can enjoy tracking down traces of Ottoman culture and history in the city, while getting to know other cultures. Offering services since Feb. 20, 2017, the Istanbul-Sofia train is the easiest and cheapest way to travel to Europe, offering both couchette and sleeping cars to give passengers the best, most comfortable traveling experience. The train departs from Istanbul's Halkalı Station every day at 22:40, and leaves Sofia at 21:00. The journey takes approximately 9 hours and 50 minutes. With extra cars added to the train, the line extends to Bucharest and Belgrade as well during the summer months. In its first year, the line carried 13,000 passengers, while 19,000 passengers rode the train in 2018. To increase interest in the Istanbul-Sofia line, the TCDD has initiated a 30 percent discount on all tickets. The sleeping car fee is 33.50 euros per person for a double bed, while a ticket for a single bed is 62.72 euros ($71). A 4-person couchette ticket for one passenger is 28.48 euros or 27.88 euros in a six-person couchette car.